With Spring finally here (or so the calendar says), it’s time we all crawl out of hibernation mode and socialize with friends again! We think that planning a dinner party is the best way to do that. So throw on your hostess with the mostess (or host with the most) hat and get planning! BTW, don’t you love how it sounds? “I’m planning a dinner party…” La. Di. Da. Planning a party can be fun. Make your table pretty! We all lead full lives, and unless we consciously make an effort see each other, let’s face it – it just won’t happen. Life happens, days go by, and before you know it, it’s been months since you’ve spent quality time with some of your favourite people. Start planning a dinner party now. Your friends will thank you! Meals can get pretty mundane when you’re just cooking for your own family. You have your favourites; meatless Mondays, taco Tuesdays, you get the idea. You fall into routines of the same old things. Okay, you fall into a rut. Planning a dinner party promotes imaginative ideas of new things to try! It’s a great time to try cuisine from a different culture, or to try a different cooking method, or try using a personal chef to prepare the meal. You can have a personal chef do as much or as little of the meal as you want. Contact manjya, to find out more. 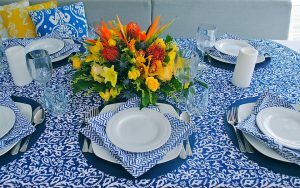 Planning a dinner party will get your creative juices flowing! I don’t know about you, but our house is never cleaner than right before we have people over. My husband and I will often joke about the fact that it’s a good thing we like to entertain, otherwise our house would never be clean! Knowing people are about to arrive forces you to notice the small things that you otherwise might not. We are so fortunate to live in a country with an abundant of farmers and different seasons highlighting wholesome Canadian produce. If you are planning a party this Spring, take advantage of the local produce that is available. It truly is something to celebrate! 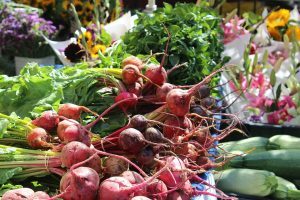 Farm stands, and farmers markets will be featuring asparagus, radishes, rhubarb, fiddleheads, morel mushrooms, spinach, shallots, and so much more! As you plan a dinner party, look for recipes with some of these ingredients. Did you know a manjya personal chef can even help you with menu planning? Then you can choose if you want to do the cooking yourself, or if you want to leave it up to a personal chef. You can be a part of the creative process with them. Planning a party can be so much fun, and you deserve it! 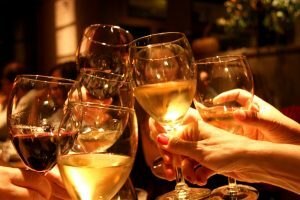 Then, when all the planning and preparation is done, and it’s time for your guests to arrive, sit back and enjoy your party! You deserve it after all the work you have put into it. Afterwards, go ahead and pamper yourself by treating yourself to something special. manjya chefs like to talk about all things related to food, cooking, and parties. Feel free to reach out to us as you begin planning a party this Spring!